A chemical named Bestine, which can be purchased in hardware stores or art stores works miracles. 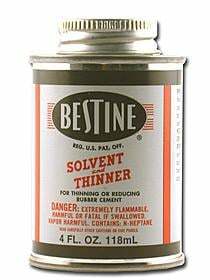 Bestine is a fast-evaporating solvent which won’t damage the stamp even if it is embossed or has foil on it. Since today’s stamps are not as fragile as classic stamps of the past, this chemical is safe to use on them. Trim the paper around the stamp to a few millimetres and apply Bestine to the back of the paper with an eye-dropper. You will see the paper become translucent within a few seconds. You should be able to peel the stamp off the paper in about 10 seconds. Place the stamp face down on a flat surface and let it dry. The back of the stamp will remain sticky because the Bestine evaporates quickly, leaving the adhesive on the back of the stamp still active. To remove the stickiness of the adhesive, once the stamp is relatively dry, apply a bit of baby powder to the gum side. The stickiness will disappear, but you will still be able to stick a stamp hinge to the back. A few extra tips: It’s best to work with one stamp at a time since Bestine evaporates so fast that you need to peel off the stamp almost immediately. Or else, the Bestine will dry and you have to start over. Don’t worry if your stamp appears greasy, once it dries this will disappear. If you can’t find any Bestine, another solution is a can of 100% natural non-aerosol citrus based air freshener, like Citrus Magic or Zep. The procedure is the same, just spray the back of the stamp with the air freshener, wait a few seconds and then peel off the stamp. Talc it to remove the stickiness as above. It is then ready to be mounted in your stamp album. Thanks for the tips, Lisa. Indeed, as Canada Post (and all Post offices) use increasingly more and more self-adhesive stamps, this will definitely come in handy! If you live in the UK “Sticky Stuff Remover” from Lakeland works well. I use a small plastic container which can be kept sealed so the fluid does not evaporate after use. Also with a close fitting lid you can “shake” the container and ensure the stamps are well coated and not waste too much liquid (which is relatively expensive) as you might with a pipette or eye dropper being used. Talc on the back after drying removes the residual tackiness. Hi, Lisa: I’m trying to figure out how to safely retrieve valuble postage stamps hinged to a paper backing by double-sided Scotch tape. would Bestine or Citrus work also? I live in California. thank you for sharing your knowledge. Scotch tape is about the worst thing to remove from stamps. I never had much success. If you find something good, please share. I found some success in soaking then in water, then putting them in the freezer that helps to at least get the tape off. I’v soaked them in clean water, then put into the freezer,over night then the tape comes off a lot better ! I had a stamp with scotch tape on it and I soaked it over night in a small jar of bestine ( with a tight lid) and was able to peal the tape off with out damage. Hi Margaret For tape I use pant thinner or briquette fire starter. I use a small saucer,emmurse stamps, and let soak for 10 to 20 minutes, pullback a corner of the paper and pull apart, then for cleaning use hot water and dish soap, then rinse well. This also works well with self adhesives that don’t come apart with following procedure. For self adhesive stamps, I use a large 2 inch deep tray 2/3 full of very hot water (a little hotter than I can stand) and a squirt of dish soap. I throw in my stamps (I will do up to 600 at a time),(I do all stamp with this procedure), then move around gently until they start separating, then soaking in another dish, then rinsing well, as this removes ALL glue residue. As leaving some glue on the stamp lowers value considerably. Lisa’s method fails in that respect. Also as I am removing stamps for drying I will take any stained stamps and soak them in a weak solution of bleach, older stamps that the paper has turned coluor works well also. I am open for feedback, or questions at [email protected]. Instead of paint thinner, use WD-40 – it smells not as bad and works great. I soaked several stamps in medium hot water in a shallow plastic basic. for not more than two minutes and all the stamps came off easily… no chemicals, no hassle. I was done in 5 minutes and retrieved 60 stamps. They are now drying on a towel, face down. Some of the glue is not present on some of the stamps, slightly present on others. No problem.. 1 drop of super-glue, press and mail. Michaeld What you are doing is illegal !!!! Reusing used stamps. It may be illegal, but if the stamp has not been franked, I don’t see a problem. Times are tough, and postage is expensive. In Australia it went from 70c to $1 for a standard letter in January. Plus if you want the mail to get there quicker than 6 days you have to pay 50c for a priority paid sticker as well! If the stamp is on an envelope but has not gone through the cancelling process, it is not illegal. It is illegal to attempt using an already cancelled stamp. If I happen to accidentally screw up an address on an envelope that I have already stamped, there is nothing illegal about removing that stamp and pasting iy onto a fresh envelope. As well, charitable organizations send hundreds of uncancelled stamps on envelopes. Rather than throw the envelopes away, if one is not going to donate, it only makes sense, economically, to detach and use the stamps. If they aren’t cancelled, they are legal tender for mailing. 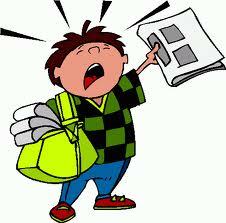 The rule is simple if the stamp has been through the mailing process, then it is illegal to re-use for mailing. Whether or not it has been canceled. Good point honest Abe. One free pass to heaven. I don’t even use stamps anymore. I save them. Ups everything else. What Michaeld offered may have been illegal (some places more than others!) but he was trying to progress the discussion and (although I have not tried it) his suggestion may be better and certainly cheaper than some of the other ideas. Further to my comment above, I have done a bit more research on the subject and found some learned discussion on the relative merits of soaking and chemical means of removal. It appears that some countries (the U.K. included) utilise cuts through the paper base which leave parts of the stamp behind if you try to peel them off the envelope. It was reported that, after soaking, these cut-outs will also become detached. From this, it would seem to indicate that chemical means with the absolute minimum of agitation is to be preferred. The choice of chemical needs a great deal of experimentation, because the inks used in some countries are likely to be unstable with chemicals which work well on stamps from the U.S. or U.K. I appreciate Michael’s tip as I had several pre-stamped envelopes for my wedding that we did not end up using (so the stamps have not been used) and I would like to take them off the envelopes they are on (which are cardboard) and put them on regular paper envelopes. Thanks! I use an exacto knife or razor blade. Gently score the back so as not to got right through to the face of the stamp, then pry up gently through score with blade. Once you get a little bit up it is easier from there to use fingers. Use a magnifying glass if available. A little tricky to avoid cutting all the way through but it worked for me on a stubborn backing. I used Orange glo wood cleaner & polish. It worked 90% on regular paper. With postcard paper, it takes longer time to absorb thru. Does it leave sticky stamps? As I see it, the problem is not removal, but removal without getting sticky stamps. If you use the waxy freezer paper or the backing on vinyl that print shops throw away you can put the stamps onto the paper and they come off easily. I have been soaking in water, then after peeling the stamp off i put it face up on the waxy paper to dry. I haven’t noticed any stickiness. Also I expect acetone (you can get it at beauty shops would be better than any of the mixtures that contain oil.